According to National Geographic there are 333.7 million smokers in China. They make up 35.7 percent of the adult population. According to the American Cancer Society there were 311 million male smokers and 14 million female smokers in 2009. There are about as many smokers in China as as there are people in the United States. However, the number of smokers is declining as the country has gradually become more aware of it as a health problem. There are about four times the number of smokers in China than in the United States. Chinese smokers smoke an average of 15.8 cigarettes a day, which works out to more than 2 trillion cigarettes a year. Smoking kills 1.2 million Chinese a year. Some health officials estimate will kill 3.5 million people each year in the country by 2030 if nothing is done to curb this habit. Even so 50 percent of Chinese doctors smoke. On a per capita basis smoking is lower than other places in teh developed world. Per capita cigarette consumption in China is 1,791 cigarette per year, compared to 2,350 in the United States, 2770 in Japan, and 2,058 in France. Average cigarette consumption per person per year in China rose from 739 in 1970 to 1,290 in 1980 to 1,900 in 1990. A 1638 Imperial edict in China declared that the possession, use or selling of tobacco was a capital offense punishable by decapitation. After the invention of the cigarette rolling machine in 1881, the founder of the British-American Tobacco Co. (BAT), James B. Duke, reportedly asked one his employees to bring him an atlas. After examining a page on population figures he reportedly pointed to China and said, "This is where we are going to sell cigarettes." Both Mao Zedong and Deng Xiaoping were heavy smokers. Mao reported liked foreign 555 cigarettes but also smoked Chinese-made Zhounghua. He brought in hand rollers from Yunnan to work in a special workshop near the Communist Party headquarters. Big Double Nine was Chiang Kai-shek’s favorite cigarette. 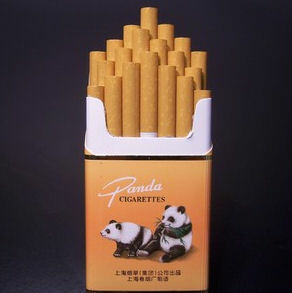 Zhou Enlai smoked Zhadan..
Deng favored special Chinese-produced Panda cigarettes made from the tips of tobacco leaves that now sell for up to $100 a pack. On No Tobacco Day in 1988 Deng was given a note on the National People's Congress that read, "Please do not smoke in the Presidium." Deng reportedly went along the request and the incident was widely reported. In China, 70 percent (63 percent, 60 percent 57 percent, depending on the source) of men smoke while only 7 percent (or 3 percent depending on the source) of women smoke. The number of women and children who smoke is rising all the time. Smoking is becoming increasingly popular among young, urban women. An average man smokes 20 cigarettes a day. Half of health care workers and doctors smoke, including the former health minister Gao Qiang, who used to smoke at meetings. Around three million Chinese begin smoking each year, most when they are in their teens. According to a survey in the People's Daily, 16 percent of elementary and high school pupils said they were regular smokers and 33 percent had tried smoking. In some places 60 percent of high school boys and 22 percent of girls smoke. The average age in which boys take their first drag has dropped from 15 in the 1990s to 11 in the 2000s. More and more girls are taking up smoking all the time. One 14-year-old girl, who smoked two packs of cigarettes a day, told the Washington Post, "We're chimneys. We love it. It's cool. It helps me study. And in the summer, it keeps mosquitos away." The girl said she had no trouble buying cigarettes. "Shop keepers don't really care," she said. "They will sell to anyone." Once they are hooked very few Chinese smokers quit. Smoking has become part of the culture in China. Offering cigarettes is an easy way to make a friend, solidify a bond or ease an introduction. Cigarettes are given as wedding gifts, presented to guests along with snacks at parties and left as offerings on the graves of men who have died of lung cancer. Many characters on television and film are heavy smokers. Offering a cigarette is a common greeting among Chinese men while lighting up in elevators, buses or even in hospital waiting rooms is routine---highlighting the lack of public awareness about the health risks of smoking. 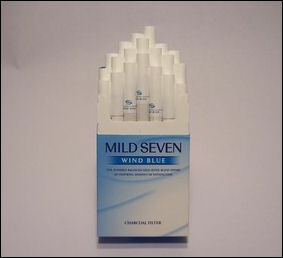 Cigarettes are often handed out at funerals. Setting a lit cigarette next to a grave is said to pacify the craving of the deceased. Drivers pulled over for driving violations often hand the police a cigarette before they show their license. 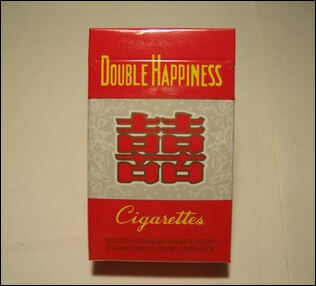 Passing out Double Happiness cigarettes at weddings is supposed increase a bride’s fertility. Chinese smoke on elevators and in hospitals Restaurants are filled with smokers. One saying goes: “A smoke after dinner is better than life after death.” Smoking between dishes during meals is a common practice. Some Chinese smoke and eat at the same time with chopsticks in one hand and a cigarette in the other. Many Chinese like to shout and blow smoke, while they are spitting. Many smokers say that a morning smoke energizes them. Urban women smokers say that smoking helps keep them focused and fosters creativity. Over 400 brands of cigarettes are sold at China’s ubiquitous tobacco shops.Popular Chinese brands include Happy New Year, Gold Medal, Red Pagoda Mountain (good but more expensive than Western cigarettes), Zhonghua, Red Double Happiness, Yellow Mountain, Temple of Heaven, and Weige (the Chinese name for Viagra). Chinese cigarettes are among the cheapest in the world. Cheap brands such as Bandling sells for about 10 to 20 cents a pack. Big Harvest, Little Panda and Yellow Pagoda cost less than 50 cents a pack. 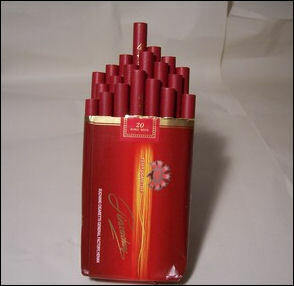 More expensive brands such as Red Pagoda cost around one dollar. 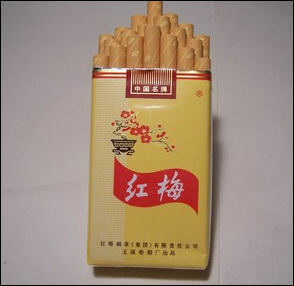 Gold-filtered Chunghua cigarettes sell for $10 a pack. 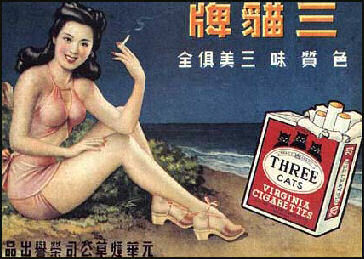 The East is Red cigarettes advertisements promise prosperity to people who smoke them. Foreign brands hold less than 5 percent of the Chinese market. 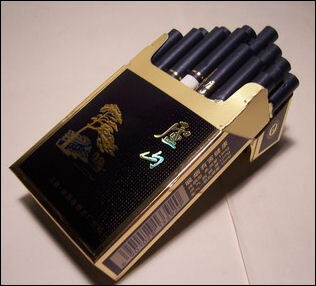 Popular foreign brand include 555 made by British America Tobacco and Mild Seven made Japan Tobacco. Marlboro, Lucky Strike, Dunhill and Benson and Hedges are the most sought after foreign brands. Western cigarettes are status symbols and not surprisingly counterfeiting them is a lucrative business. Many health experts have warned that China, the world's largest producer and consumer of tobacco, faces a ticking health timebomb unless it curbs smoking, and the ban marks a significant move for the Chinese government. More than 1.2 million people every year in China from cancer, heart disease, lung disease, and other smoking-related causes. (Secondhand smoke gets credit for another hundred thousand or so deaths). While numbers of smokers have remained flat for the past decade, mortality rates among them are rising fast. If trends continue, by 2030 an estimated 3.5 million Chinese will die from smoking each year, according to a report issued in January 2011 by a group of prominent Chinese public health experts and economists. More than 3,000 people die every day from smoking-related illnesses in China. One in every eight male deaths in China is caused by smoking-related illnesses. This figure is expected to rise to 1 in 3 by 2050. The estimated number of deaths from smoking-related causes rose from 500,000 in 1996 to 700,000 in 2002 to around 1.2 million in 2009 and is expected to rise to 2 million in 2025. If Chinese continue smoking at the rate they do more than 3 million people a year will die of tobacco-related illnesses. Smoking costs $6 billion a year in health care costs. Chinese smokers are three times more likely to get lung cancer than nonsmokers and twice as likely to get tuberculosis. A quarter of all deaths in China are caused by respiratory illnesses. It is impossible to say how many are caused by smoking and how many are caused by air pollution or something else. Second hand smoke is big health hazard in China. A government survey of 3,600 doctors in 2004 found that 30 percent of them did not known smoking was linked to heart disease. Health ministers smoke at meetings. Smoking-related diseases and fires are believed to cost China $7.8 billion a year. 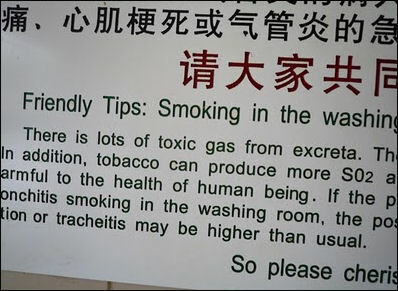 Many fires in China are started by careless smokers. Carpets, furniture and bed sheets in Chinese hotel rooms often have a number of cigarette burns on them. In 1995, a teenager in Tianjin in northeast China smoked 100 Peony-brand cigarettes in one sitting in an effort to win a bet and then died from a "heart attack brought on by excessive intake of cigarette smoke and acute nicotine poisoning." The 19-year-old youth, a construction worker named Wu, bet a friend that whoever quit smoking first would have to pay for all the cigarettes. The friend quit after 40 cigarettes but Wu continued smoking five cigarettes at a time by taping them together so he could reach the 100 mark. Around 100,000 people die from exposure to second-hand smoke in China each year, in addition to an estimated 1 million people who die from direct tobacco consumption. About 540 million people are exposed to harmful secondhand smoke. Reuters reported: “Women in rural areas of China were more affected, with almost 3 in every 4 exposed to second-hand smoke at home, compared to just over half in urban areas. "There is no safe level of exposure to tobacco smoke. Creating 100 percent smoke-free environments is the only way to protect people from the harmful effects of second-hand tobacco smoke," said Michael O'Leary, WHO representative in China. "Tobacco use and second-hand smoke exposure in reproductive-aged women can cause adverse reproductive health outcomes, such as pregnancy complications, fetal growth restriction, preterm delivery, stillbirths, and infant death." China has been tightening up restrictions on smoking over the past decade, banning tobacco advertising and sponsorships of major sporting events. In 2009, the authorities raised taxes on cigarettes. Smoking is banned in public places like schools, railway stations and government buildings. But enforcement is spotty. In is not uncommon to see men smoking below non-smoking signs in the cancer wards of hospitals. The government said it out 100,000 inspectors to enforce the ban but the $1.40 fine offers little deterrence. Tobacco advertising is banned on television and radio and cigarette packs are required to carry health warnings but the warning on cigarettes packs are small and not very explicit. One anti-cigarette activist tried to convince Communist leaders that restricting tobacco advertising served their interest by protecting the Chinese tobacco monopoly and shielding young people from foreign cigarette advertising. Anti-Smoking education is also minimal. According to one survey, 40 percent of the Chinese asked do not know that lung cancer could be caused by smoking. Even fewer knew that heart disease could also be caused by smoking. China's largest anti-smoking organization has about a dozen employees and an annual budget of $61,000, of which only a share comes from the government. Among those who endorse cigarettes brands are Olympic golden-medal-winning hurdler Liu Xian, who plugs cigarettes made by the Baishan tobacco company. Smoking is no longer permitted in the Great Hall of the People. In September 2005, China decided to ban tobacco advertising and vending machine within five years. The ban affects the mainland, Hong Kong and Macau. In February 2006, the Chinese government announced a ban on the construction of cigarette factories. Laws preventing the sale of tobacco products to minors were only put on the books in 2007 and even these laws failed to spell out punishments or say how they would be enforced. There was debate in the late 2000s as to whether or not graphic warnings with images diseased organs and disfigured cancer patients, like those used in Canada, should be placed on cigarette packages. Lawyers have also begun to file suits against tobacco companies for failing to disclose the harm caused by cigarettes. So far courts have refused to hear the cases. 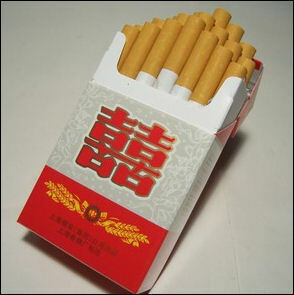 Chinese cigarettes have no warning labels although that is scheduled to change in 2011. In May 2009, China announced it would ban smoking in all hospitals and medical facilities from 2011. Ban put in place in May 2008 prohibits athletes for accepting tobacco company sponsorships. 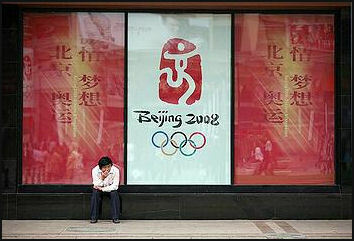 Smoking was a target of the etiquette campaign in Beijing during the run up to the Olympics. Beginning in May 2008, smoking was banned in all government offices and on public transport, with violators facing a punishment of up to $700. Smoking continued to be allowed in restaurants, bars and clubs but these places had to provide smoke-free areas. Hotels had to offer smoke-free rooms. Smoking was already banned in cinemas, sports arenas, airports and railway station. It was banned in taxis in October 2007. In January 2010, China expanded its crack down on smoking by banning smoking in public spaces in seven provincial capitals. The success of the effort could determine whether the move will be expanded. According to the rules minors under age 18 cannot be shown smoking or buying cigarettes, and characters may not smoke in public buildings or other places where smoking is banned. Where possible, actors and directors are encouraged to leave smoking out of their productions, the circular said, adding that images of smoking in movies and television shows were out of sync with government efforts to control tobacco use. The order does not mention entertainment imported from other nations. Hollywood blockbusters have had success in the Chinese market despite revenue quotas that effectively limit how many foreign productions are released. But there are considerable loopholes. The rules do not cover factories, offices or government workplaces, and, more important, they lack specific penalty guidelines. It remains unclear whether the ban will be adequately enforced in bars, restaurants, and public transport. “We can inform them about the regulation but if they insist on smoking we can't do anything,” Tian Rongrong, a waitress at a small restaurant, told AFP. The prohibition faces a tough test in a nation where tobacco is deeply ingrained in the culture. “Chinese people, including most government officials, are just too in love with their cigarettes to pay attention to such a law,” a 28-year-old bank employee told AFP. There was some merit to his complaint. In the nearly three years since Beijing required restaurants and bars to provide nonsmoking sections, most smokers have continued to puff away with abandon. While acknowledging the challenges of enforcing the new ban, antismoking advocates hailed the measure as a first step to weaning the nation off tobacco “Even if it’s not stringently enforced in the beginning, having a law is an important place to start, said Wu Yiqun, deputy director of the Think Tank Research Center for Health Development, a nongovernmental group in Beijing, told the New York Times. Still, it remains to be seen how effective the newest ban will be. China's official news agency Xinhua said Friday the ban is “likely to be ignored by smokers, public venue operators, and the general public due to its vague content,” singling out a lack of clarity on penalties and enforcement. Similar temporary bans introduced during the 2008 Olympics in Beijing and last year's World Expo in Shanghai were rarely respected or enforced. Some believe Chinese people would gradually get used to the new rule. “I think Chinese people will slowly change their way of thinking. More and more customers ask for no-smoking areas,” the waitress mention above told AFP. Zang Jing, the owner of a cigarette and alcohol shop, said she would “definitely sell fewer cigarettes” following the introduction of the ban. “It's not worth worrying about. It's part of a general trend,” she told AFP. A plan in Beijing to ban smoking in bars, restaurant, karaoke lounges and massage parlors was proposed but quickly died. Laws that encourage eating and drinking establishments to set aside nonsmoking areas have been ignored. Devoted smokers have long since learned to ignore the no-smoking signs in hospital waiting areas, gymnasium locker rooms and elevators. In January 2008, it was reported that Beijing’s first smoke-free restaurant chain may go out of business because is customers have deserted en mass (as high as 80 percent at some restaurants) after the ban was put in place in October 2007. Increasingly though nonsmokers are complaining about smokers smoking in non-smoking areas---often affecting a cough and waving away the smoke in their face---and smokers are putting out their cigarettes and apologizing. China's state monopoly on the tobacco industry is one of the biggest obstacles to anti-smoking efforts. Beijing dragged its feet in adopting the ban---it takes effect four months after the expiration of a deadline set by the World Health Organization Framework Convention on Tobacco Control, which China signed five years ago. So far, there has been no major nationwide public awareness campaign to promote the ban and enforcement issues and penalties also are not clearly spelled out in the regulations. e-cigarrete Some Chinese smoke tobacco-free, electric pipes (e-pipes) that have an LED ember that glows orange with each puff and a device that produces pseudo-smoke made from water vapor and uses ultrasound to atomize liquid nicotine into inhalable droplets. Hon Li, a university professor who once smoked three packs of cigarettes a day, invented a smokeless electronic cigarettes that deliver nicotine with a smoke free vaper. Named the Riuya, meaning ‘smoke,” the device contains a small lithium battery that atomizes a liquid solution of nicotine that produces vapor that looks like smoke and is inhaled by the user. Reusable e-cigarettes sell for around $150. Replacement cartridges worth the equivalent of five packs sell $9. Hon told the Los Angeles Times, the Riuya is a much cleaner, safer way to inhale nicotine.” A distributor of similar devices said, “It’s safe smoking---like smoking with a condom on.” In 2009, disposable e-cigarettes called Jazz began selling in Texas for $25 for the equivalent of five packages. There are still some safety issues with the devices that have to be worked out: namely is it possible to take in too much nicotine and OD from it? The Communist Party has a monopoly on tobacco production, which provides roughly 7 percent of the government’s tax revenue. The state monopoly on the tobacco industry and the money it earns is one of the biggest obstacles to anti-smoking efforts. The Chinese National Tobacco Corporation (CNTC) is the world's largest tobacco company. A state monopoly, it employs 520,000 workers, produces 500 brands and has 183 factories, 150 tobacco drying plants, and 30 research institutes. A total of ten million people (tobacco company workers, farmers and shop owners) make a living in China's mostly-state-run tobacco industry. The cigarette market in China is valued in the hundreds of billions of dollars. It generated $263 billion in pretax profit in the first half of 2007. To keep the profit margins high and foreign competition out, China has imposed import quotas, high tariffs and other trade barriers on foreign cigarettes. A side effect of this policy has been the creation of a massive tobacco smuggling market. Tobacco and cigarette taxes and profits made by China’s tobacco monopoly provide the central government in Beijing with about 10 percent of its revenues. Money from tobacco is the single largest source of revenue for the Chinese government. Some provinces are almost totally dependant on money generated from tobacco to keep their governments running. Yunnan province, for example, receives about 70 percent of its revenues from tobacco. In 2006, a fifth of China’s top 500 tax payers were tobacco-related companies. Some years more than 80 percent of the profits made from cigarette sales go to the government in taxes. The government's dependence on tobacco revenues is seen as one reason it has failed to mount an extensive anti-smoking campaign. Tobacco taxes have risen in recent years and now account for 7.5 percent of total government revenues; however the authorities have been reluctant to take the more proactive measures, such as educational programs, necessary to reduce the number of smokers. Indeed, some local authorities still actively encourage officials and residents to smoke local cigarette brands, and it remains nearly impossible to buy smoking cessation aids. A similar situation exists in the salt industry, with foodstuffs produced by government-controlled companies regularly found to have salt contents three to four times above the government's own guidelines. Given the long-term healthcare costs associated with both smoking and a high-salt diet, the perennial problems of vested interests, corruption and poor legal enforcement mean that any responsive healthcare reforms the government does introduce will be akin to bailing water with a teacup as the ship sinks around them. In hopes of expanding production with Western technology, CNTC has set up more 10 joint ventures with foreign companies such as BAT, R.J. Reynolds and Philip Morris. The huge RJR-CNTC factory in Xiamen, which opened in 1988, produces 2.5 million Camels, Winstons and Golden Bridges (a popular Chinese brand) a day. The Philip Morris-CNTC joint venture produce cigarettes in Shanghai, Ningbo and Tianjin. British American Tobacco makes cigarettes in Sichuan. 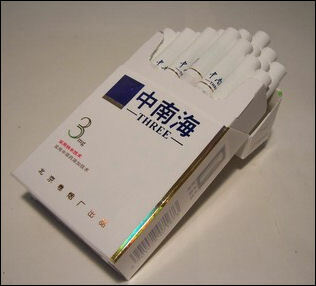 Japan Tobacco has been producing cigarettes in China since 2000. In September 2004, Philip Morris received permission to start making Marlboros in China. They will be made with a joint venture with the state-run Longyan Cigarette factory in Fujian. 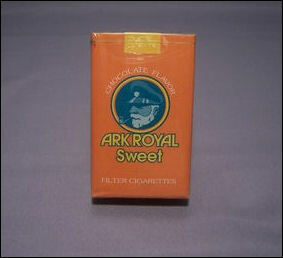 Philip Morris, BAT and RJ Reynolds all reportedly spend around $20 million annually for cigarette advertising. Although cigarette advertising has been prohibited since 1984 in China, foreign companies get around the rules by prominently displaying their logos and brand names without showing cigarettes or people smoking. Foreign tobacco companies have been accused of directing their marketing strategy towards women and young people. They sponsor the Marlboro Soccer League, Kent billiards contests, the Beijing Salem tennis tournament, the 555 Hong Kong-Beijing car race and the immensely popular Marlboro Music Hour on radio. Tickets for the 555 car race with the 555 logo were given out free to Beijing elementary school students. BAT has sponsors 555 nights at a popular Beijing disco with girls in miniskirts, boots and the 555 logo greeting people at the door and giving them free cigarettes. Over the dance floor is huge 555 banner that reads: "Be free from worldly cares." Most of the foreign cigarettes sold in China are thought to be counterfeit or to have been smuggled in. Tobacco smuggling into China is a multi-million dollar business--maybe a multi-billion dollar business--controlled largely by gangsters from Hong Kong triads who bribe custom officials and allegedly work with large Hong shipping companies and officials with the British-American Tobacco Company. Smuggled foreign cigarettes cost much less than legally imported foreign cigarettes. It is estimated that Beijing loses $1 billion a year in tax revenues (more that 10 percent of total revenues) to the black market. Smuggling and counterfeiting cigarettes are so lucrative businesses that some criminal gangs have stitched their focus from heroin to cigarettes. Cigarette counterfeiting is common. Rough cut tobacco usually discarded by cigarette makers is used to make the cigarettes. Often it contains floor sweepings, sawdust and a variety of chemicals. Much of the counterfeiting effort goes into making cigarette boxes that look just like the real thing down to the English warning labels. Many of the counterfeit cigarette factories are in the rural areas of Fujian and Guangdong provinces. Some have been built underground to avoid detection. Cigarette counterfeiting is a problem outside of China. 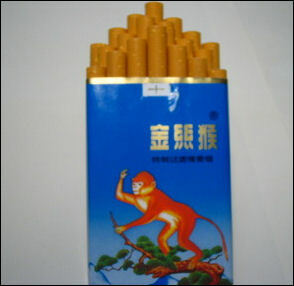 Marlboros and other well known brand that are copied in China are sold abroad. Billions of counterfeit cigarettes make their way in to Britain alone. By one count a third of the cigarettes smoked in Britain are counterfeit with 80 percent of them made in China. 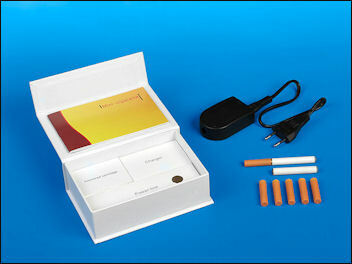 The bootleg cigarettes are often more dangerous than regular cigarettes. They often contain dangerous levels of arsenic and lead and other poisons. One study found that counterfeit cigarettes contain six times the levels of lead as regular cigarettes and 160 percent more tar.